← First Home Ec project! Thanks to some linky love from Mollie over at Wild Olive I’ve found some new blogs floating around the net. 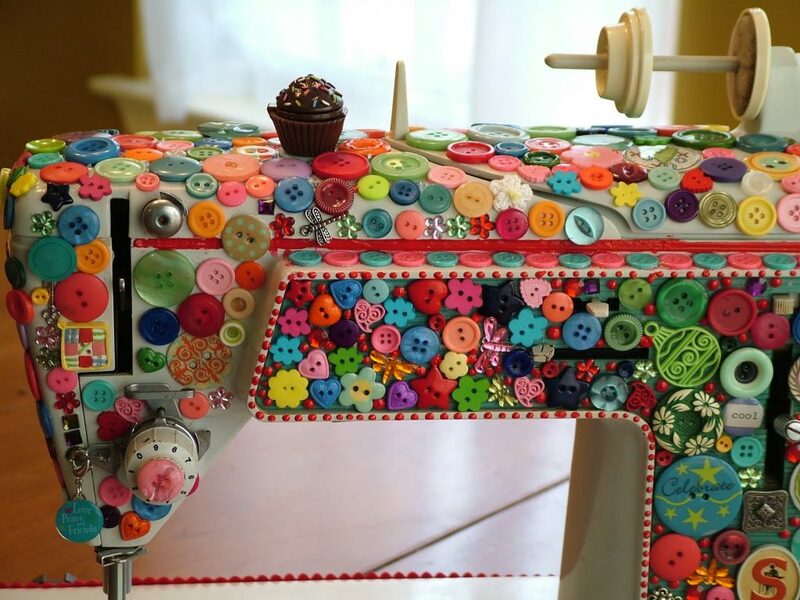 Here’s something awesome I stumbled upon the other day over at the Quilted Cupcake. Isn’t it so fun?! I just might have to ‘transform’ my Singer now. It’s my ‘juice pouch’ sewing machine now that I have a fancy pants Babylock. Might be fun to dress it up a bit. 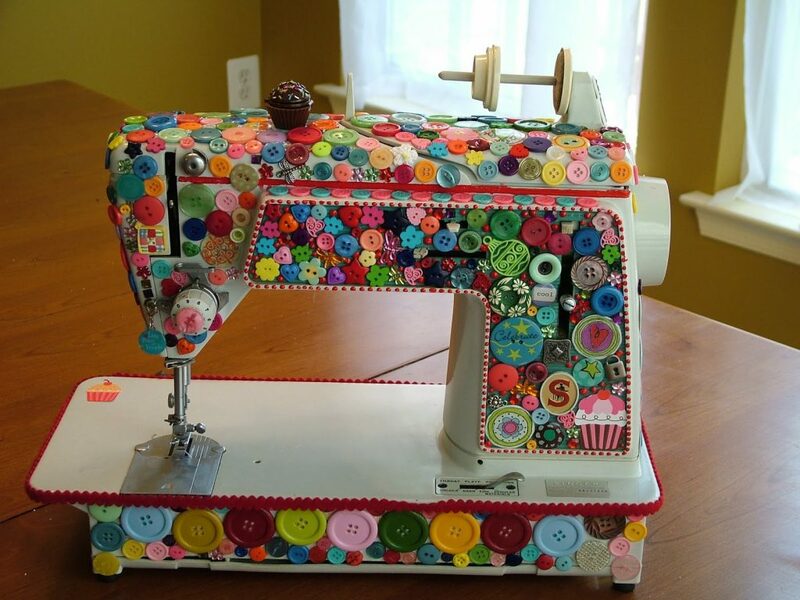 This entry was posted in neat spaces, other crafts, repurposing, sewing and tagged buttons, quilted cupcake, sewing machine, singer, wild olive. Bookmark the permalink. whoa. that is way too cool! Thanks so much for featuring me! Loving your blog, too!